President Donald Trump on Wednesday told reporters he doesn't understand why special counsel Robert Mueller is writing a report, but that he wants the general public to see it anyway. 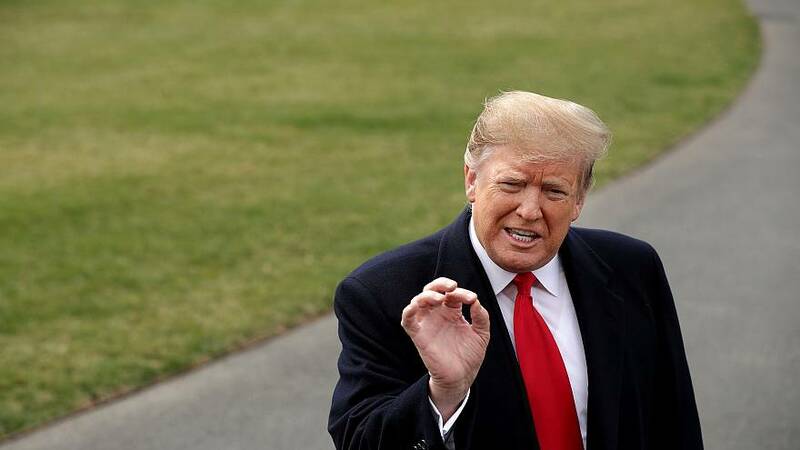 "I have no idea when it's going to be released," the president said of the highly anticipated report, which Mueller will submit to Attorney General William Barr at the conclusion of his investigation into Russian election interference and Trump. "It's interesting that a man gets appointed by a deputy, he writes a report, uh, you know, never figured that one out. Man gets appointed by a deputy, he writes a report." He asked reporters on the White House South Law to "explain" why Mueller gets to write a report "because my voters don't get it and I don't get it." "At the same time, let it come out, let people see it," he said. "That's up to the attorney general. We have a very good attorney general, he's a highly respected man. And we'll see what happens. But it's sort of interesting that a man out of the blue just writes a report." "But I want to see the report," he said. "And you know who I want to see it? The tens of millions of people that love the fact that we have the greatest economy we've ever had." Trump again insisted there was "no collusion" and "no obstruction." "There was no nothing," he said. "But it's sort of an amazing thing that when you have a great victory, somebody comes in, does a report nowhere, tell me how that makes sense?" Mueller was tasked with investigating Russian interference in the 2016 presidential election and possible collusion between the Trump campaign and Russian officials. He was hired after Trump fired former FBI Director James Comey in May 2017, a firing the administration first said was because of Comey's handling of the investigation into Hillary Clinton's use of a private email server as secretary of state, only for Trump to tell NBC News in an interview that the FBI's Russia investigation was part of his calculus. Mueller's probe is also investigating whether Trump sought to obstruct justice by firing Comey and others.